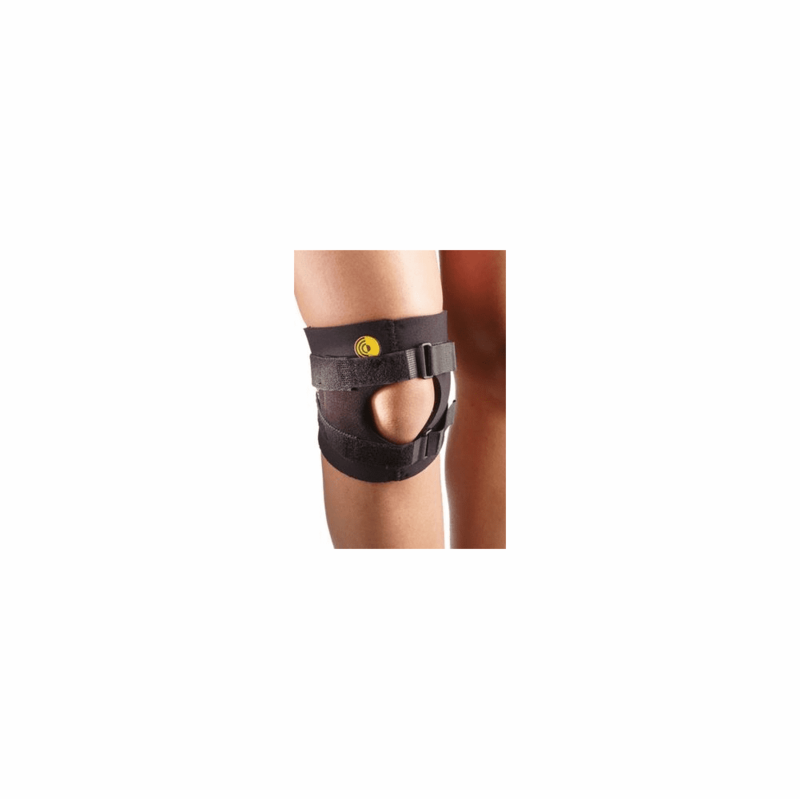 descriptionFeatures textured C-shaped buttress for maximum patella control and versatile strapping system that provides dynamic treatment with adjustable tension control. Indicated for patella subluxation, patello-femoral syndrome and as part of a rehabilitation program for patella tendon injuries. Manufactured from premium grade latex-free neoprene or CoolTex, a neoprene alternative ;and compression molded textured neoprene buttress.